If you’ve implemented a search ad campaign and people just aren’t clicking on your ads, chances are you’re doing it completely wrong. You scratch your head. Your face turns bright red. You glare menacingly at the poor marketing intern who helped you execute this campaign (he wisely chooses to avoid eye contact). How was it possible that your ad failed? Your company released an awesome product, you’ve poured a reasonable amount of money into the campaign, and you’ve done pretty much everything your digital marketing heroes suggested you do. Newsflash: You’re only halfway there. 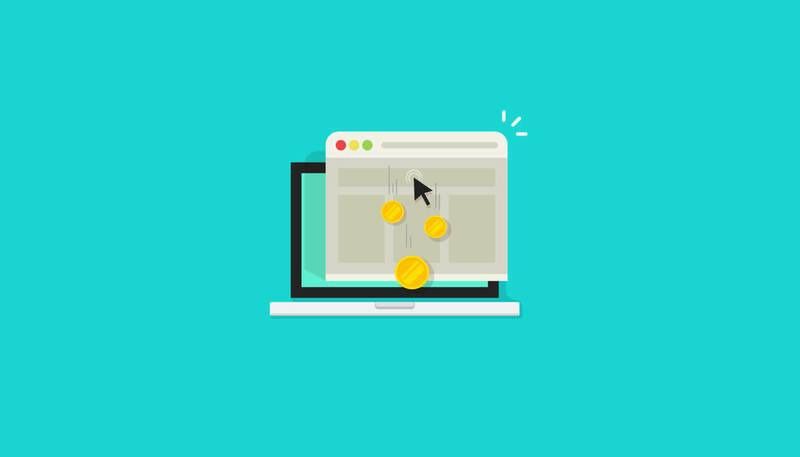 So, what may be the reasons why your customers aren’t clicking on your ads? Agency research firm Clutch recently conducted a survey on paid search advertising. Out of the 506 respondents who clicked on a paid search ad in the past month, 75% said paid search ad results made it easier to find the information they were looking for. This strongly indicates that they think the ads are actually relevant to their searches. If an ad specifically answers your customer’s question, they are more likely to click on it. The key to getting this right is to be as relevant and as definitive as possible. Tip: Find out what the majority of your customers want, then tailor your ad creative accordingly. How do you find out what they want? You can look at past purchasing behavior and content click-through rates using Autopilot’s simple website tracker; you can then group similar patterns of behavior using a tool such as Smart Segments. The second most popular reason why people click on search ads is brand familiarity. If the customer recognizes - and trusts - your brand, they are more likely to click. If your brand is well-known and has legions of adoring fans, then your work here is pretty much done. But if your brand is new — perhaps it’s a small business or a new start-up — then this is where you’ll need to work on increasing brand awareness to drive familiarity and trust. Tip: Building familiarity takes time, but there are ways to help you get there. We recommend retargeting; the repeated exposure to your brand that retargeting provides creates familiarity with your audience. You can target customers based on the searches they’ve conducted in the past, or focus on those who have interacted with content you’ve distributed such as a Facebook ad. Using marketing automation software such as Autopilot allows you to go one step further by creating customer journeys so you can re-engage with these users and generate leads. According to the survey, 16% of respondents clicked on video ads — a small figure compared to the 49% who said they clicked on text ads. Sure, videos can be cool, but this goes to show that you should never underestimate the power of written copy that’s effective and engaging. Tip: Having a good understanding of customer psychology can go a long way to creating compelling and engaging copy. Produce great copy, and you may see that your paid search ad is more likely to coax your customer into clicking it instead of the organic search result. The survey results indicate the clear need to connect ad copy to your customer’s specific query. Complementing this objective with a solid retargeting campaign will then help you create brand familiarity, resulting in a higher click-through rate for your ads.